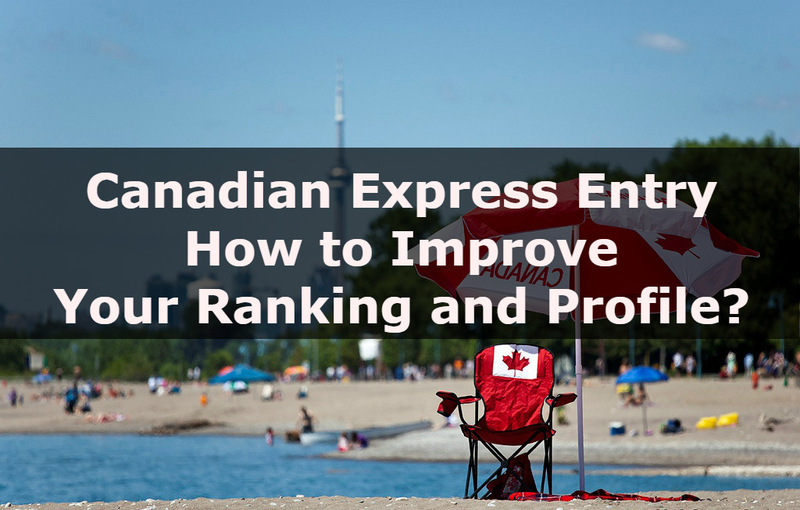 » Canadian Express Entry: How to Improve Your Ranking and Profile? Canadian Express Entry: How to Improve Your Ranking and Profile? Only a set number of high-ranked candidates get the invitation to apply for a permanent residence in Canada. So, candidates must understand the importance of point scoring. Improving your score increases the chances of receiving an invitation to apply. Obtain an enhanced nomination certificate through a Provincial Nominee Program (PNP) to improve your score in Comprehensive Ranking System (CRS). Make sure the PNP aligns with Express Entry Pool. There’s another way to score an Invitation to Apply (ITA) no matter you have a nomination from a Canadian province. Though, you won’t get the 600 points available under the CRS. You will still be a contender in a subsequent draw. Based on other skills, if you have outstanding point scoring, you have high chances of receiving an ITA. The federal government, provinces, and other territories get shared authority over the immigration criteria. There are 10 provinces and 3 territories in Canada and each one of them has their own immigration programs through which they can nominate candidates. You can apply to Provincial Nominee Programs (PNPs) of different provinces if you wish to become a permanent resident in Canada. Territorial and Provincial governments use three programs to nominate candidates willing to settle in Canada and become a permanent resident. Each program helps provinces and territories to get the human resource they need; from skilled workers to entrepreneurs and students. Therefore, you should stay up-to-date on the provincial nominee programs. All the candidates who qualify for a provincial nominee program receive 600 points under the CRS; giving them high chances to achieve Immigration to Canada through Express Entry Pool. If you add up these points to your skills and transferability points, you know that you will be a strong contender in the competition. Out of all the provinces, Alberta does not offer any enhanced Express Entry streams in their nomination program. The selection system of Express Entry is to welcome newcomers who have the ability to settle in successfully within the Canadian culture. So, the system put more focus on your ability to find employment in Canada. So, start searching for the jobs by a Canadian employer. The point score ranges from 50 to 200 depending on the job position. According to National Occupational Classification, you receive 200 points if your job position falls in Major Group 00. You receive 50 points otherwise. Though, your job position must be a qualifying offer of arranged employment. Under the ‘significant benefits to Canada’, you get a work permit such as Intra-company Transfer. In the both above cases, you need to have a work experience of a job in Canada by the same employer whose name is on the work permit. Improve your English and/or French skills. Get a good score in recognized language test.